Shiny-Brite today is about faithfully recreating the joy and style of midcentury American Christmas. True to the original design, each piece is created using shapes, palettes and motifs derived from antique ornaments we’ve carefully preserved. This vinatge-inspired recreations are dedicated to those who created lasting family memories by keeping the home fires warm. Turn back the clock and celebrate Christmas-American style. 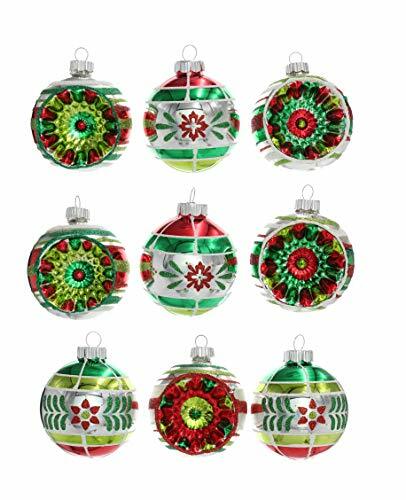 The Shiny Brite company produced the most popular ornaments in American throughout the 1940s and 50s. These reproductions make available the lovely colors and patterns from those memorable days. For many of us, they immediately evoke treasured memories of Christmases spent with family and friends. Like This? Share The Christmas Spirit!